* For this recipe, I used a simple small donut pan to get the uniform and traditional shape. They are super cheap, and can be easily found on Amazon, or even in your local grocery store probably. I have not tried this recipe in any other pan. In a large bowl mix all dry ingredients and whisk to mix well. Combine wet ingredients in a small sauce pan over medium low heat and mix until margarine is melted. You do not want this mixture to get too hot, so keep track of the heat build up. It should feel slightly warm.If the mixture gets too hot, you will not have a good dough. 🙁 That would make me sad for you. Add wet to dry and mix until just combined. It should form a very soft dough. Spoon the dough into the doughnut pan, remember to only fill about half way, as the batter will fluff and rise quite a bit. Bake each batch for 12 minutes, or until a toothpick comes out clean. When the donuts have cooled, dip then in the glaze and set them on a cooling rack to drip until the glaze is firm. 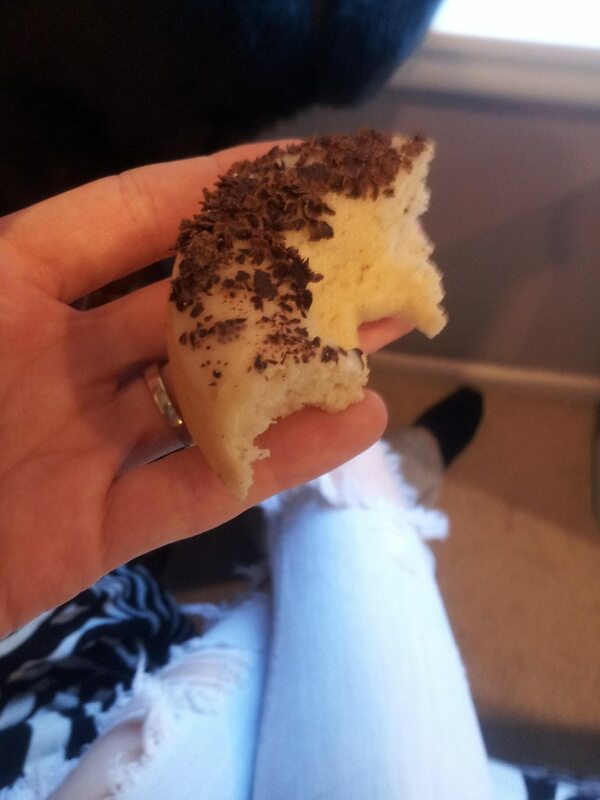 While the glaze is still wet, you can sprinkle each donut with chocolate shavings, or sprinkles. I used an espresso flavored chocolate with fabulous results.